I really love seeing how Glen’s company LC Foods has evolved over the years. His latest product offerings show how invested he is in helping those of us with gluten intolerance–and who also need to keep it ketogenic for health and weight loss. Embarking on a new iteration in snack packs and trail mixes, LC Foods offers not a few tremendous snacking options with simple ingredients, including quick, single-servings packets of: Raspberry, Coconut and Pumpkin Seed; Almond and Pepper; Cranberry, Almond, Coconut; Pepper and Cheddar; Cheddar, Pepper and Pumpkin Seed; and Pepper, Almond and Cheddar. At a dollar per one ounce serving, these still kick the rear end of convenience bars sold commercially, and they’re a quality option for people who want to keep their ingredients simple. I love these little niblets of crunchy almonds, zippy, crisp green peppers, and fantastically crunchy shreds of cheddar cheese. In fact, I like them so much, I wish I had thought of making these myself. Holy crow, is this a tasty, hearty snack, especially when you’re on the go. Ingredients? Simple. 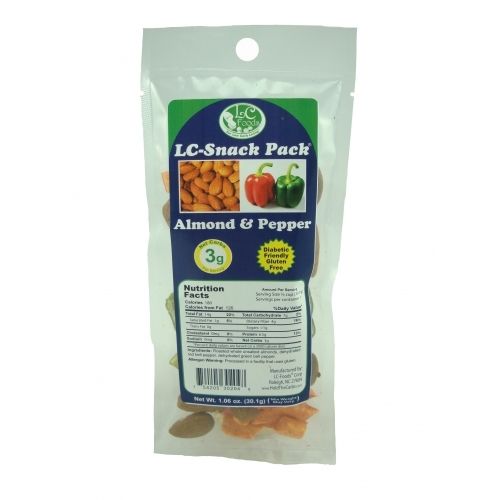 Just Roasted whole unsalted almonds, cheddar cheese and dehydrated green bell pepper. And for only 2.5 net carbs and an incredibly filling 130 calories, this satisfies more than any candy bar, and leaves the perfect finishing flavor of cheesy crackers on your tongue. A lovely way to grab a quick snack, this triumvirate of tasty temptations is perfect poured into your hand (if you insist on being polite), sprinkled over your favorite yogurt, or–come on–let’s be real here–just poured into your mouth while no one’s looking. Hey, I’m not going to tell. The lack of ingredients in the ingredients list will please you as much as the flavors: only roasted whole unsalted almonds, flaked unsweetened coconut, and sliced, unsweetened cranberries. For only 3 net carbs (4 from fiber) and 135 calories per ample serving (the entire package), this versatile verisimilitude of veracity is going to make you want to hug the guy who thought to put them together. 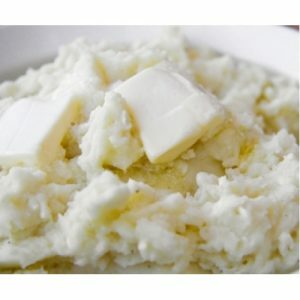 I love the idea of instant mashed potatoes that actually contain potatoes and doesn’t try to trick the palate with its more commonly used replacement cauliflower. Glen does a remarkable job keeping the process simple and for making less than the entire package at a time. The ingredients are pretty simple too: Proprietary/Patent blend of insoluble dietary fibers, resistant gluten-free starches, non-GMO soy protein isolate, whole potato flakes and salt. At the same time, while the flavor is somewhat addicting, I couldn’t help but think this mixture could be slightly more nuanced, since my mashed potatoes came out a bit more reminiscent of a delicious biscuit dough than normal, instant mashed potatoes. Still, with some tweaking and a few extra drops of butter, cream, salt, pepper and garlic, you have an affable solution that for only 4.8 net carbs (11 from fiber) and only 77 calories per serving. My problem? Stopping at only one tasty, 1/4 cup serving. And because I am allergic to soy, there was just enough of it in the mix to exacerbate my allergies, which is a shame. My mouth had the tell-tale numbing and my throat swelled slightly. Still, if you’re not allergic to soy and don’t mind seeing some in your potatoes, these might be worth a try when you’re in a hurry. All in all, I am a fan of the direction Glen continues to move his products, and look forward to seeing more low-carb soy and gluten-free offerings (soy and gluten are not my friends). The Final Word from my QWERTYlips: Those snack packs are literally yummy (I don’t even like the word yummy). If you have to choose between the potatoes and the snacks, go crazy on the snacks and keep them everywhere you might need a quick pick-me-up, from your car to your desk, to your purse, to your cleavage (I’m not telling a soul). Price: $.99 for each (roughly) 1 ounce snack pack. 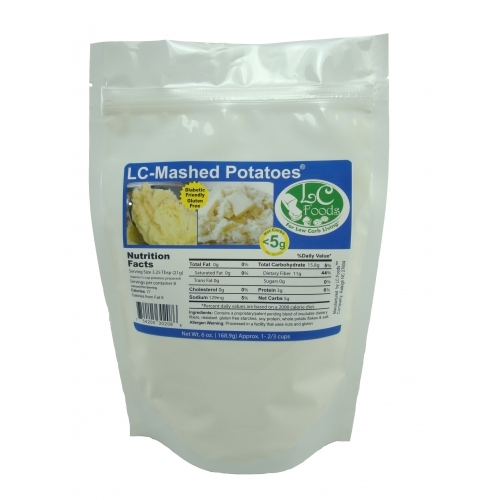 $6.69 for 6 ounces instant mashed potatoes. Save: Flat-rate shipping is only $4.95 to the contiguous 48 states with orders of $85 or more. 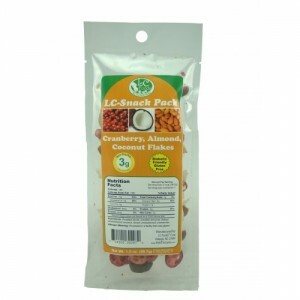 Disclosure: LC Foods Corporation is a site sponsor who has provided these products free of charge for review, but this has not affected my review of the items. 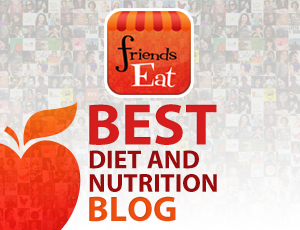 You can make the dehydrated snacks in your food dehydrator. Do it! I think they look wonderful. does he do mail order to Australia? Christi– I don’t think so. Not yet anyway. My hope is as he grows as a company, the answers will be yes! I just place my first order with them yesterday, but I didn’t order the potatoes. It sounds like you made some great choices! I just realized they are located in Raleigh nc. I live about an hour from there. 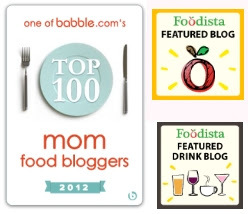 Will definitely be looking them up — the snack packs sound wonderful!! Jamie your recipes are fantastic. Love your website. Debra, you are so sweet! Definitely go and see Glen! Tell him Jamie from Your Lighter Side sent you. Tee hee… He’s a great guy.